The Western Australia Police Star Medal has been introduced to recognise WA Police personnel who are killed, or seriously injured, while carrying out policing duties. 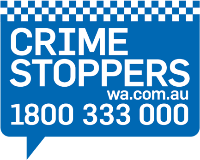 The Police Star acknowledges the unique and unpredictable dangers of policing in the community and the sacrifices police officers make serving the community of WA. Former and current serving members, or a family member of a deceased member, can apply. To be eligible, applicants must meet certain eligibility criteria, and all applications will be assessed by a panel with final approval by the Commissioner of Police. If you know of any former or current serving members who may be eligible, direct them to this website and to this application form. Any queries should be directed to the WA Police Honours and Awards Coordinator on 9301 9677 or email Academy - Honours and Awards.